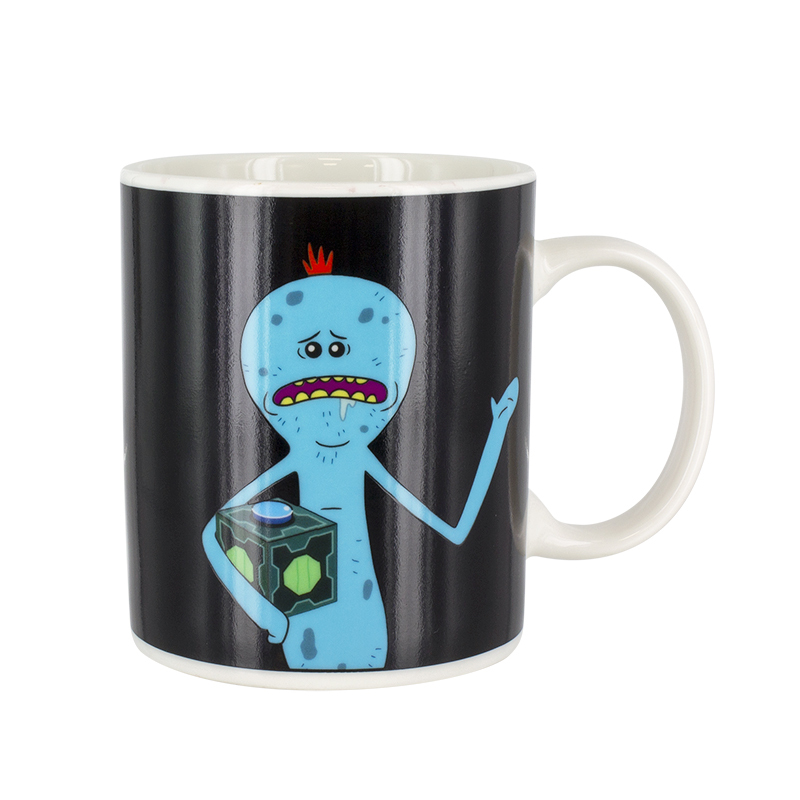 A fan-favourite character from the award-winning TV series Rick and Morty, Mr Meeseeks is the ultimate personal assistant. 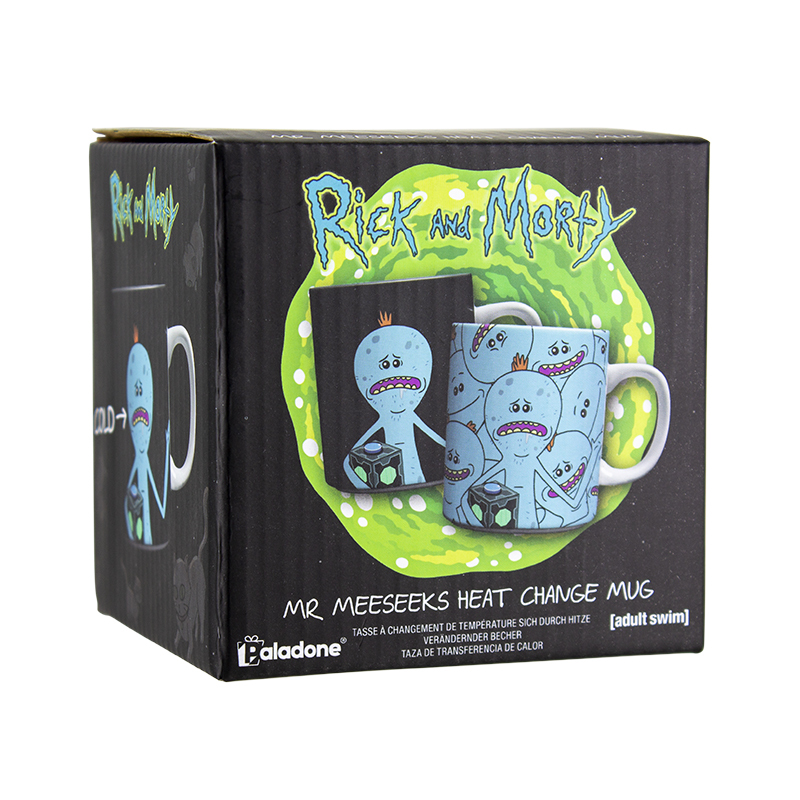 Let him help you with your next cuppa and enjoy a hot drink in this fun Heat Change Mug. Luckily, when you’re done with it, this mug won’t disappear! Pour in a nice hot beverage and watch as the heat changing decal comes into effect. 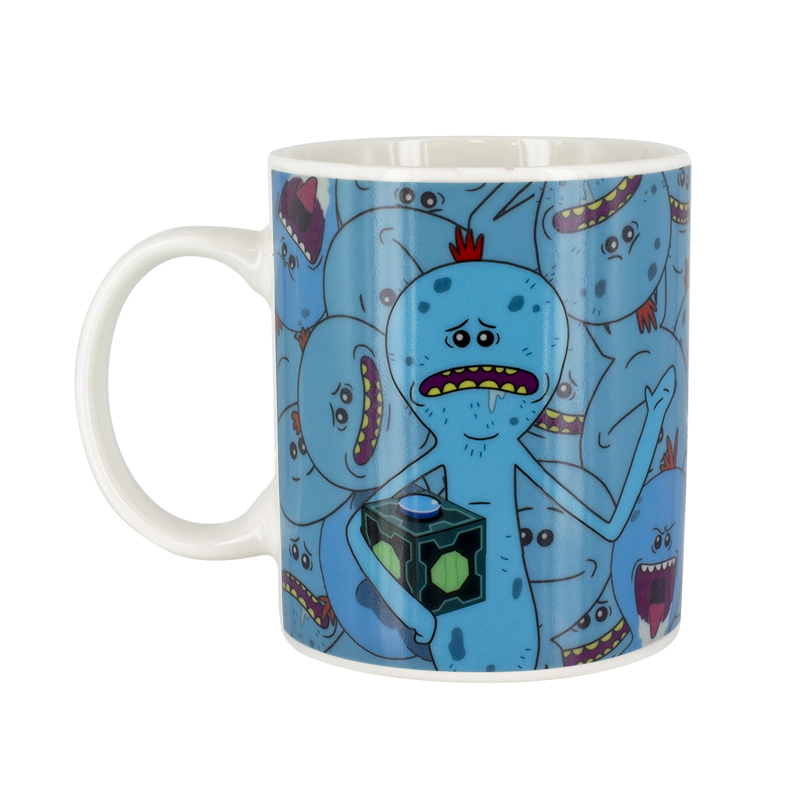 When cold the mug features just one Mr Meeseeks, however, once the mug gets warm he’s joined by many others. 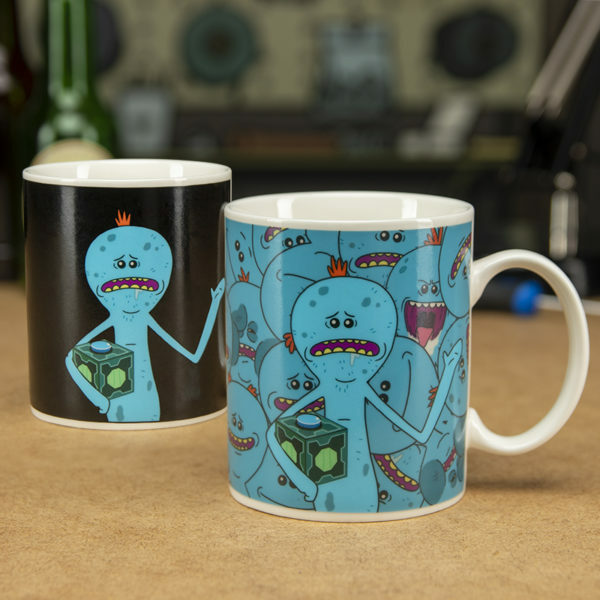 This fun mug is great for lovers of Rick and Morty and makes a wonderful present for birthdays, whilst also being a perfect stocking filler, or Secret Santa gift. Rick and Morty is a cartoon science-fiction comedy series that started in 2013. It has become incredibly popular with 3 series under it’s belt, and has developed a highly-dedicated cult fan base. The series is expected to have a bright future, because a further 70 episodes are yet to be released, announced in 2018. 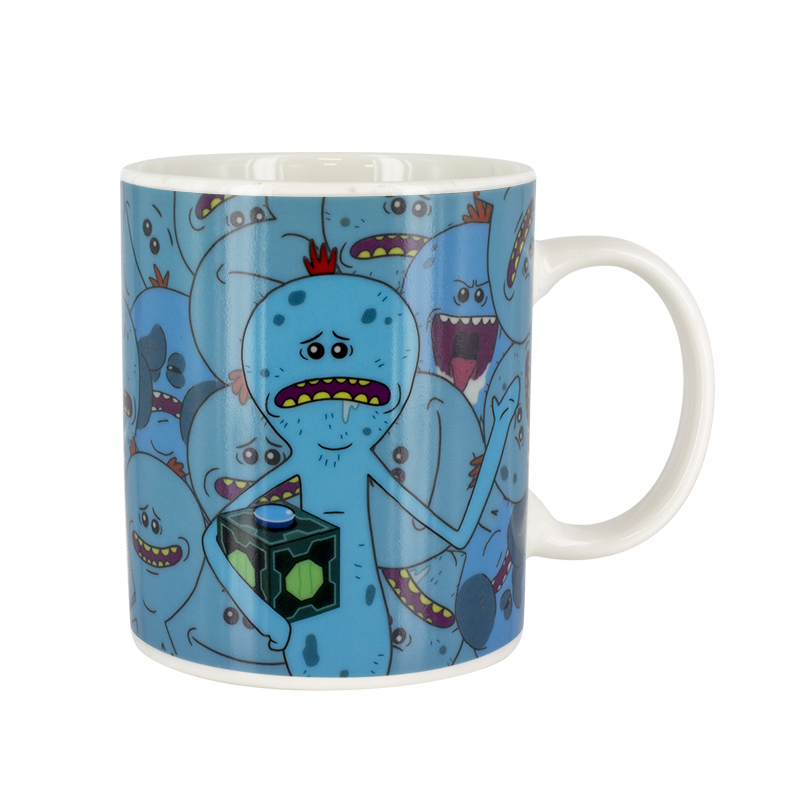 The Mr Meeseeks Heat Change Mug is an officially licensed Rick and Morty product.